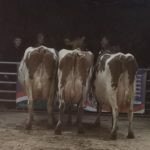 Shaun Rennie of Brocklehillwill will make his selections when he visits the peninsula for the Kintyre and District Ayrshire Breeders Club event, next Wednesday. 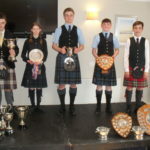 During his judging round Mr Rennie will attend Gartvaigh (11am), Machribeg (11.30am), Clockkeil (1.45pm) and East Drumlemble (2.30pm) with lunch scheduled for 12pm at Muneroy Tearoom. The prize presentation and dinner is at the Royal Hotel, 7.30 for 8 pm. Reservations to the secretary on 810220. 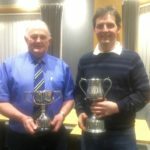 At that Ayreshire Young breeders competion Mr Rennie was the overall winner, won the Hugh Stevenson Trophy and a trip to last month’s World Dairy Expo in Madison USA. There are some impressive trophies to be won next week but the prize is unlikely to include a trip to America.